on my commute home from work. Anyone who lives in New Jersey knows once Memorial Day hits, Friday rush hour gets even worse than it already is, with people trying to hit the Jersey Shore for the weekend. So there I was stuck, traffic was a at a dead halt and all I wanted was to get home. In that moment I came up with a strategy, a game in a way, to turn any negative situation into something positive. A strategy/game (STRATEGAME) that I like to call “Unfortunately, Fortunately.” UNFORTUNATELY I was stuck in traffic, FORTUNATELY I only had 5 more days of school until it was summer and I was blasting Pandora summer 90’s hits. This instantly put me in a better mood! Could you imagine yourself in a similar situation, wouldn’t that put YOU in a better mood? Unfortunately/Fortunately became a strategame that I started to implement from that moment on with friends and family. I would use this in all different types of situations: work, health, road trips, giving advice, and even just for fun. Unfortunately, a bird just flew by and your head became the prime target for him relieving himself. Fortunately, this is supposed to be good luck right? Just wash it off and hope that good luck is around the corner! A strategame that anyone and everyone can apply and use throughout their day. I started with this in 2014, but unfortunately/fortunately really has been beneficial more so in the past couple months with having to be off medicine. I have seen a lot more bad days than good days. A lot more days where my mornings start off with slowly having to put my feet on the floor and easing into daily routines, fighting through pain and joints that do not want to function right away. This can easily start a downward spiral of emotions. I read other blogs and posts from community groups that I am in for Rheumatoid Arthritis and Lupus where people are giving up and giving in to the disease. It pains me to see posts like “I can’t handle the pain. That’s it RA you win! I give up” or “Trying to fight a battle when there is no cure is like going into a war zone knowing you are already going to lose.” I respond to these posts in hope to shed light, in hope to turn these unfortunately moments into fortunately outlooks. If you change your mindset then your behavior, outlook and mental attitude changes as well. Here is how I have put unfortunately/fortunately to practice. Unfortunately, being on the medicine that has helped keep my RA under control is not an option when wanting to start a family. Fortunately, it has led me to see a new doctor where I gained more knowledge. You hear the saying “if it is not broke, don’t fix it.” When I was on medicine I felt I was not broken, I had my RA under pretty good control. However, quickly after stopping my routine needle that I took, my symptoms returned and there was now a need for a fix. I researched and found the Hospital of Special Surgery which has been among the top-ranked hospitals for rheumatology for 26 consecutive years. In the past I did not have to worry about how this disease could effect me while being off medicine and in the future with wanting to become pregnant. These are all issues that I discussed with my new doctor. He decided to do a more comprehensive exam with blood work. One part was a cardiolipin antibody test which are antibodies that form in response to cardiolipins which is a kind of fat in the blood. The levels of these antibodies are often high in people with abnormal blood clotting and autoimmune diseases like lupus. With further testing we determined that I have a strand of lupus as well which would need to be closely monitored during pregnancy. My fortunately mindset here lead me to research a new doctor which has put me on a path for a better understanding of my autoimmune diseases. An RA Warrior from New Zealand. Meet Maddy “MadDog” – Recently diagnosed in high school and is an instant warrior in my book. She continues to go out on the tennis courts and follows her passion! You got this! found myself becoming a huge cheerleader for others that want to be on the mission to slay RA as well. Unfortunately, it has been 16 years since I was diagnosed with Rheumatoid Arthritis, fortunately I have been blessed with a strong support system. I have stayed positive and battled tough mornings, hospital visits and flare ups all with the support of my husband, family and friends. There was an article I read that relates an iceberg to RA and chronic illnesses. You only see the tip of the iceberg on the surface and what is under water (the majority) is left unseen to someone looking from above sea level. The Tip of the Iceberg (what is seen) – Deformities in the joints. Those really close to the person see the physical difficulties in the morning with trying to do routine tasks with limited mobility. What is under the surface is invisible to everyone, but the person who has the illness. I am fortunate to be surrounded by people who see the part of the iceberg that is submerged and give me the support to turn my bad days into brighter days with keeping a smile on my face. Ever since I was a little girl, I was always a New York Mets fan. I have so many memories going to Shea stadium and in 1986 (only 2 years old), I was there celebrating their World Series win! A New York Mets season for a fan is a roller coaster just like it is for someone with an autoimmune disease like myself. Myself/The Mets have their good days and then their bad days. Inconsistent, but it is about how you handle the whole ride of the roller coaster. You can’t just enjoy the ride when it’s on the high part. The beginning of this season, the Mets started off with a bang. The Mets were re-energized and started the season with a 9-1 record. They surpassed the 1985 and 2006 teams for the best start in franchise history. The team had a celebration that they introduced this season. They called it the “Salt and Pepper.” The players on the Mets would motion to one another like they were grinding a salt and pepper shaker. A hit, a run, homerun, rbi; all lead the team to grind it out with the salt and pepper shaker motion. Winning and celebrating always helps with keeping smiles on everyone’s faces. However, a season is 162 games and throughout the season there are injuries, errors, and slumps. It is how you continue to “keep grinding” along the way, never giving up. You need to find out how to bounce back, make adjustments that are needed and get back in the batter’s box. The past 75 days were my “keep grinding” days as I navigated through the elimination diet. I figured out what types of food were and were not triggers. I made the needed adjustments to my diet and got back in “the batter’s box” to learn more. Before diving into the highlight reel, let’s recap from past blogs. I was diagnosed with Rheumatoid Arthritis when I was 18 years old (almost 16 years ago). In November I stopped all medications, including a needle that I took regularly that helped manage my RA, in hope that my husband and I would be blessed with a family. Quickly after I stopped medicine, symptoms of my RA began unraveling with fatigue and flare ups with inflammation and immobility in the morning that lingered throughout the day. This soon became my new “normal”. I turned to an elimination diet to see if I can find some source to alleviate the symptoms. The reintroduction phase consisted of testing a food and then documenting any reactions. When testing a food, I ate that type of food for 2-3 times a day for three days in a row. I basically was telling my body YES keep the food in my diet OR NO keep it out. My husband and I kept to a very strict schedule and food prep was a must! Throughout the entire process I received questions. 75 days completed and ready to give some official answers. How did I know if a food was a NO? This was a question I was struggling with in the beginning. Was I going to really see a difference? Was there going to be food that even played an impact? Then certain foods were reintroduced and I saw changes in the way my body responded, both RA related and non RA related. Some signs were more obvious than others. Some I had to experiment with further, but signs were apparent and I did find triggers. The main sign I noticed was when the pain from inflamed joints that I wouldn’t normally feel before, became more apparent. What foods did I find were triggers? – Nightshade Vegetables – Common nightshades include white (but not sweet) potatoes, eggplant, tomatoes, and peppers. The list of edible nightshade plants also includes any spices made from peppers, like paprika, red pepper flakes, and cayenne pepper (black pepper is not included). I found with nightshades that my results were inconsistent. I found my body said NO when I combined different nightshades together or when my meals consisted of primarily nightshades. My body also said NO when I ate any of the nightshade vegetable family raw. When nightshades were cooked or eaten sparingly I seemed to have a better response. – Peanuts – Before I even started the elimination diet I used to think my body reacted differently after eating peanut butter, but was never positive. With the elimination diet process I was able to see that within a half hour after eating peanut butter, I noticed a notable difference. My stomach would feel bloated. It was clear my body had a food intolerance to peanut butter. After doing research, I found this was common. Peanuts, despite the name, is actually a legume and not a nut. Legumes contain phytic acid and lectins which make it harder for your gut to break down and process. I also discovered from several doctor articles that people who have autoimmune diseases should stay clear from peanuts due to the stress it already puts on the gut and immune system. Interesting. Since this realization, I have turned to peanut alternatives such as cashew and almond butter instead! – Chocolate – In an earlier blog, I noted that when I first reintroduced chocolate, it was a week of my stomach hating me with digestive issues. This battle between my stomach and chocolate thank goodness went away and I have been okay with chocolate since. This is a big sigh of relief because this girl loves her chocolate! – Gluten – The last type of solid food that was reintroduced. I slowly added gluten back into my diet, one component at a time. I started with rolled oats which for the most part are gluten free, there is still controversy that they might be contaminated with wheat. Nonetheless, I found no change here. I moved on to rye where I still saw no significant change in my symptoms. It was when I reintroduced wheat where I noticed I found a trigger. The morning after I reintroduced wheat, I had a higher level of inflammation, pain in joints that are not my “normal” flare up joints. I knew for sure that moving forward I was not including wheat. Hello quinoa, brown rice pasta and gluten free alternatives. Surprisingly we found a gluten free pizza dough at Whole Foods and it was better than regular dough we have used before! My side had regular cheese and my husband’s had buffalo mozzarella because he is allergic to cow’s milk. Bon Appetit! – Alcohol and Caffeine – Last but not least I reintroduced alcohol and then caffeine. It was a celebration of 75 days. Completion of the diet. We celebrated by going out to eat and for our first alcohol we used the wine my bridesmaids got us at my bridal shower. We filled our glasses and said cheers to good health and a lifetime of adventures together as a team. My first coffee just happened to have the Mets logo on it which I felt fitting since I have been grinding through the elimination diet and with my RA. Alcohol was not a significant trigger. In fact there are mixed studies (as long as it is gluten free) about whether or not alcohol plays a role with RA. Alcohol I am going to continue to monitor and stay gluten free with. Coffee. Whoa not having caffeine for 75 days and then drinking a large from DD sure will get you going. My students at 7:30 in the morning had a very energized teacher that day. As for my RA, I found regular coffee I did not have a problem with. However, when I got the flavored swirls I had the same responses with extra inflammation and pain. Was the elimination diet worth it? Absolutely. I needed to find ways to get back in the batter’s box now that I was without medication. When you are an active person and a disease is trying to bench you, you are willing to see if there are other practices you can do. For me the diet was about finding possible triggers that would allow me to keep grinding. For my husband, he did the elimination diet to support me, my coach. While I was being overly critical of tapping into whether a food was a yes or no, Chris saw the diet from a different perspective as my coach. He saw my overall performance. He noticed that our healthy diet brought us more energy and had less lethargic days. In the end the diet provided me with more knowledge than I did before I started. What are my main takeaways from completing the elimination diet? “You are what you eat.” Food plays an important role in everybody’s every day lifestyle. Different foods affect everyone differently. The elimination diet was very strict and regimented. But I challenge you to keep a food journal and monitor what you eat. I guarantee it can teach you a lot. Focus on the things you can control. Flares, what in the RA world is a sudden surge of symptoms that include joint pain, swelling/inflammation, fevers, and fatigue which can be brought on by known triggers and some that are not predictable. I can’t control weather that brings on flares. I can’t control unpredictable flares. I can’t control the fact that I have RA. BUT I can control how I react to things I can’t control. The elimination diet was not an answer to not being on medicine, but certain foods that I found to be known triggers and those I can control. KEEP GRINDING. “Whether you have a great game or a terrible game, tomorrow’s another day and you’ve got to come out here and compete.” ~ David Wright. A baseball game is not the name of the game I am playing, but I certainly can relate. 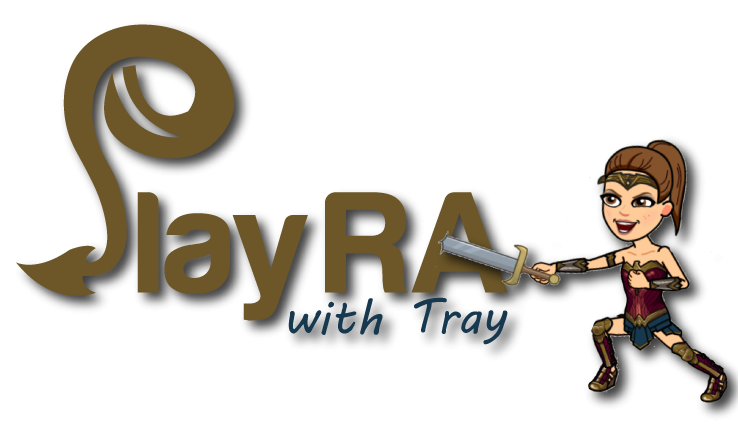 The name of my game is SLAY RA. Just like baseball I have my terrible “games” and my great “games”. It most certainly is all about getting back out there and keep on grinding. So now if only the Mets can get back on the grind as well. BUT hey, still have a long season to go. So while I continue to keep grinding, let’s play ball and SLAY RA! Physical Strength is defined as a state of health that allows a person to do daily tasks. Physical strength is generated through muscles, the skeleton, tendons and ligaments all working together. The amount of physical strength you have depends on how well they interact with one another. In my case my physical strength has been inconsistent and I was not sure how my joints were going to interact with my other parts of my body Saturday morning of the Asbury Park Half Marathon. Getting to the starting line was the easy part, but to finish I knew it was going to have to take more than just physical strength this time around. I have ran a half marathon in the past and 2 New York City full marathons. BUT, this one was different. For the first time I was going to run a half marathon without meds. On top of being off meds, the run was happening in the morning. This is when I experience the most pain with inflammation, flares and having difficulty to fully function. Pre Half Marathon. Chris, Dude and Me. In order to best prepare, the night before, Chris and I made sure to have a hearty pasta dinner (all compliant to the elimination diet, so it was brown rice pasta). The morning of the run I woke up extra early to make sure I got in a lot of stretching, ate breakfast and tried to ease into my morning stiffness and pain as much as I could before it was go time. I could not help but feel excited as I put on my Racing for a Cure jersey and bracelet. I completed my running apparel with a compilation of Wonder Woman paraphernalia that included earrings, a bandanna and my leggings that I also wore in my first New York City Marathon. I definitely looked like I meant business. We got to the starting line and waited with our friend Brian aka “Dude” who was also running the half marathon. I was all smiles on the outside and ready to go, but would be completely lying if I did not mention what was going through my head on the inside. I was nervous. I am definitely my own worst enemy; both literally and figuratively. Literally -my body attacks itself as part of my autoimmune disease. Figuratively – I am very hard on myself if I do not achieve a goal or meet my own expectations. Ultimately I did not want them both to collide. I was fearful that my body was going to interfere with my goal of finishing. Blowing my friends kisses as we ran by. cause where scientists are studying all forms of arthritis which includes osteoarthritis, lupus, rheumatoid arthritis, juvenile arthritis, gout, ankylosing spondylitis and psoriatic arthritis. As I ran I thought about all the many people I was running for that also hope and pray to see a cure one day. MY HUSBAND. Who was right there next to me every step along the way. Even though he hates long distance running, he ran the run to support me and I could not be more proud. though I was finishing no matter what. When we hit mile 12 and only had 1.1 miles to go, we were at the home stretch. Fighting through the pain, I was all smiles and focused. For the last mile, I knew this was my husband’s longest run he has done so far. I kept saying out loud positive and motivational words. “We got this!” “Every step is one step closer to the finish and we did it together!” There even was a guy on his balcony blasting out of two huge speakers Rocky theme music. So naturally I started pumping my fist and singing along, “It’s the eye of the tiger. It’s the thrill of the fight. Rising up to the challenge of our rival.” (I might have just cheated now and google searched the lyrics. Anyone who knows me I am the worst at lyrics and I definitely made up my own words the day of the run besides the eye of the tiger part.) It was not long until we saw the finish line, the crowd screaming, the cheers of our friends again. Chris and I crossed the finish line holding hands up in the air. WE DID IT! WE FINISHED TOGETHER! That night we enjoyed a rewarding post marathon steak dinner. Corn was the next food group we had to reintroduce to the elimination diet that day. We picked up some fresh corn and enjoyed a side of corn on the cob. Dinner hit the spot! Just like we ran through the finish line of the half marathon together, we are coming up to the last stretch of finishing the elimination diet. The last food groups include soy, eggs, dairy, yeast, gluten and wheat. These are key food groups that can possibly cause triggers. I am definitely curious to see if my body responds any differently to them and if I come to any realizations. Stay tuned for next blog where I focus on crossing the finish line with the elimination diet. Looking forward to answering questions such as was the elimination diet (ED) worth it? What did I learn and take away from doing the ED? Were there any triggers? What I would recommend to others? So many questions and with every answer or knowledge I come across is one step closer to…….. The number of letters in “fifty” equals the sum of the digits in 50. 50 is also the sum of three square numbers: 3^2 + 4^2 + 5^2 = 9 + 16 + 25 = 50. Woohoo! Hit 50 days since starting my blog and being on the elimination diet. Anytime I get a chance to throw math into the mix, I definitely will. That’s the math teacher in me! Last blog I promised a more detailed break down of how the diet is going, so on day 50 I present you the RUNDOWN- with the diet and my upcoming half marathon! RECAP – The elimination diet is not a diet about carbs, calories or how much you eat. The elimination diet is a 70-80 day process which starts with a detoxification (phase 1), followed by phase 2 which is a neutral phase and ends with the reintroduction phase (phase 3), where you slowly add back foods to see the relationship your body has with them. See my blog post on 3 P’s: Planning, Prepping and Phase 1 for more information about phase 1. WHY am I doing this again? 3 main reasons. 1) My support system who always advised me about other avenues that might be beneficial with autoimmune diseases. 2) Wanting to share my experience with others who live a life with a chronic illness and 3) The BIG reason. My husband and I hope to be blessed with a family one day. The safest decision was to stop all medications. Shortly after stopping medicine, all of the symptoms of RA quickly showed up. I had to try anything that might possibly help, give me some sort of relief or provide me with some insight. Check out Why I chose to do the “Elimination Diet”if you missed it to read the full reasons. The reintroduction phase has been an interesting process. When you reintroduce foods, you are testing foods that may trigger a reaction. My main goal was to see if any foods trigger a flare up of increase inflammation, pain and stiffness. However, there are many obstacles to RA and other variables that come into play. This is my first time being off medication in 15 years, so my body is definitely adjusting. Weather in New Jersey lately has been the furthest from consistent which can play a part as well. New Jersey saw Nor’easter after Nor’easter with weather temperatures being in the 80’s one day to back in the 40’s the next. Flares come in two varieties: “predictable” and “unpredictable”. “Predictable” flares have a known trigger such as food, overexertion, stress or infection. “Unpredictable” flares are when flares occur but there is uncertainty to why they are present. After all a part of RA is that your body’s immune system attacks itself and inflames the protective membrane inside the joints. This is what I have been battling with while trying to play detective; is it the the trigger food, another precursor or is it an “unpredictable” flare? All questions that I continuously ask myself. There are 19 different types of foods that get reintroduced. Foods that usually do not cause much of a reaction get reintroduced first and they increase with more intolerable foods as the process continues. So far I have done 12 of them. In order they have been citrus, nightshade vegetables, beef, pork, sesame, walnuts/pecans, almonds, cashews, peanuts, the rest of the nut family, sugar, and chocolate. Each item had its own limitations and specificity. I discussed the first four foods in previous blogs. The recent items have been sesame, nuts, sugar and chocolate. The only foods I saw a noticeable change with were peanuts and chocolate. The morning after I introduced peanuts to my diet, I had a brand new flare up in both my knees. That morning I could not bend either of my knees. I continued with the peanuts and the next morning my knees did not experience the same flare up. I did experience stomach cramps and bloating with the peanuts that I was not experiencing before though. With the inconsistent results, I decided to remove peanuts from my diet for now and try to reintroduce it at a later time to see if I get the same results. I live for chocolate and was really looking forward to reintroducing it. The chocolate tasted so smooth and delicious but my stomach didn’t have the same thoughts on the subject, as I experienced grumbling and pains for the first couple of days. It certainly was not a happy welcome back party whatsoever. My stomach took all 3 days to allow it to be tolerable again in my system. I did not notice any change though as far as flare ups are concerned, which is my main goal for the diet. The more high risk food items that are more concerning are coming up and I am curious to see how and if they will affect me. 3 Days Left to Donate. Three is the magic number until Chris and I run the Asbury Half Marathon representing Cure Arthritis. Check out our Jerseys that came in the mail this past week! We are beyond excited to wear them. Wearing this jersey on Saturday has so many different meanings and emotions for me. I know I am not going to be running this run to get a personal record. Not being able to run at my best kills the competitor inside of me. However, putting this jersey on means I am STILL in charge of my disease. Training has certainly been difficult. Every step I run I feel pain. I googled search to try and see how many steps I would be taking during the half marathon. How many steps will I be showing RA who is boss! It stated around 10,000 steps for 5 miles. I thought, “yes! a math problem!” In fact myself and my co-teacher, Mr. D, just got done teaching this same concept. So I opened up a notepad and did the math. About 26,200 steps. It was not the steps that shocked me, but the quote that was on the random page I turned to in order to do the math. HOW BEYOND PERFECT! I have a dream that one day Autoimmune diseases will have a cure. I am up for the challenge (yes this is the competitor in me back at it). I will continue to run miles to chase my dream; no matter how painful, frustrating, and/or tiresome the fight may be. My shadow is a constant reminder and motivator of the dream that I am chasing. I love that I get to share these miles with another shadow, my husband. I want to personally thank everyone who donates that is helping me chase my dream. With every donation I get a personal letter mailed to me letting me know that you are supporting myself along with the 50 million other Americans who suffer from autoimmune diseases. Like I mentioned in my past blog, you will be my extra spoons on Saturday. Every step of the 26,200 steps that I take, I will be thinking of the support you have given me. Three days left and below are three special girls (my nieces and God daughters that I simply adore) that sent me this supportive picture. They are right! I GOT THIS! Saturday I will continue to #SlayRA! Alanis might only have needed a knife in her song “Ironic”, but what I recently found out is that 10,000 spoons is a person with an autoimmune disease and chronic illness’s dream. I recently came across the term “Spoonie” when describing a person who has an autoimmune disease/chronic illness. Within my almost 16 years of being diagnosed with Rheumatoid Arthritis (RA), I never heard this term ever used until recently. I have mentioned in past blog posts that I am pursuing being an ambassador for the Arthritis Foundation and became a crew member for the National Arthritis Research Foundation. Through this recent journey I kept seeing the term “Spoonie” pop up. The only type of spoonie I thought of was cuddling and I thought to myself, well I do like to cuddle. BUT why am I being classified as a “Spoonie” in reference to my RA? It is Christine’s last paragraph that completely hit home. Ever since I went off medicine (read my other blog posts to find out why I went off medicine if you do not already know), my number of spoons varies day by day. I still have not been able to fully grasp how many spoons I have to start with and I definitely miss the freedom of not having to count “spoons”. I have the hardest time slowing down and trying not to do everything. I am incredibly guilty when it comes to that. I have a hard time because I made a promise to myself to never let RA keep me from doing something that I want to do. Lately, my RA has really been testing me especially when it comes to trying to train and prepare for running my first half marathon off medicine. Last Saturday, I signed up to run a 5k to raise money for a Cure for Blood Cancers. My two friends started a team for the run in memory of their father. This was going to be the first time I would be running in the morning in a long time since mornings are the most difficult for me. This morning was no different. I was having difficulty walking and really had no clue how I was going to run. When I got to the run, I was so excited to see everyone on the team that it really took my mind off of the pain that I was feeling. Right before we were about to start the run I was introduced to Governor Murphy and his wife who were also there to run and raise awareness. It was such a breath of fresh air to see how down to earth they both were as well as upbeat and positive. I ended up running with the both of them the whole time which completely distracted me. They did not know this the day of the run, but I would like to give a special thank you to Governor Murphy and Mrs. Murphy for making my first morning run in a while a success! My RA certainly tried to test me this morning. I might have used a majority of my spoons before noon even hit, but I could not get a smile off my face because I stuck to my promise. I did not have as much success a couple days later. I was on my Spring break this week from teaching and I decided to do some heavy spring cleaning around our house. I spent the day deep cleaning the bathrooms, kitchen and the rest of the house along with reorganizing our closet. After spending the day going non stop, I decided to do a long run with Chris when he got home from work. We were running ten miles, something that was not new to me since I have trained for marathons in the past. We had our route planned out and we set out to start our run. Around mile 8, is when I realized I was running out of spoons. My feet felt as if they were throbbing out of my shoes and with every step the pain was getting more intense. We were running down the road leaving Cattus Island Park when I felt the road appearing more and more narrow. I ran out of spoons and the pain caused me to come to a halt. I begged Chris to continue on. I knew the route and knew he had a mile loop before we would meet again. We would then have one more mile to make it home. While I walked to the spot where we would meet again, I was a roller coaster of emotions. I was frustrated that I had to stop, angry at myself for not planning out my spoons better, and at the same time proud that my husband was doing awesome on his longest run to date. I kept beating myself up while I waited at the meeting spot. Anger. Frustration. Disappointment. This was when I knew I had to dig deep to find that reserve spoon. I was not going to finish by walking home. I was determined to finish the run on a positive note. I told my RA and my body, “Sorry, not sorry. I am not letting you win.” We ran the mile home. This was the first time I got to the point where I had to use my reserve spoon. I know I need to listen to my body better now and I am still learning. This is definitely a huge learning curve for me, but I will not let RA win. Today marks 12 days until our half marathon. I know I have not been training anywhere close to how I have for past runs. I know beating my PR is a long shot. I know that every day is different and I know my spoon count changes daily. I know it will be my longest run being off medicine. I know that mornings are the most difficult for my feet to function. I have so many I knows that seem to stack up against me. HOWEVER, my biggest I knows put them to rest. I KNOW that I signed up to run the race in support of the Arthritis National Research Foundation. All money donated will go to funding arthritis research to find new treatments and cures for rheumatoid arthritis, lupus, juvenile arthritis, ankylosing spondylitis, psoriatic arthritis and other autoimmune diseases. I KNOW that I made a promise to myself to never let RA interfere with what I want to accomplish and I will keep that promise to myself. Last but not least, I KNOW that no matter how many spoons I wake up with that morning, I will be sure to dig deep for that reserve spoon and finish. Alanis Morissette had 10,000 spoons and all she needed was a knife. Well Alanis, I have that one knife (a sword to be exact) and I am determined to Slay RA with it. Now isn’t that ironic? Don’t you think?! The link below is my fundraising page. Thank you so much in advance for donating. There is no donation amount that is too small. I am beyond appreciative and will run with each of you as one of my extra spoons on the day of the run. Stay tuned for my elimination diet progress.